Hello, hello, hello! 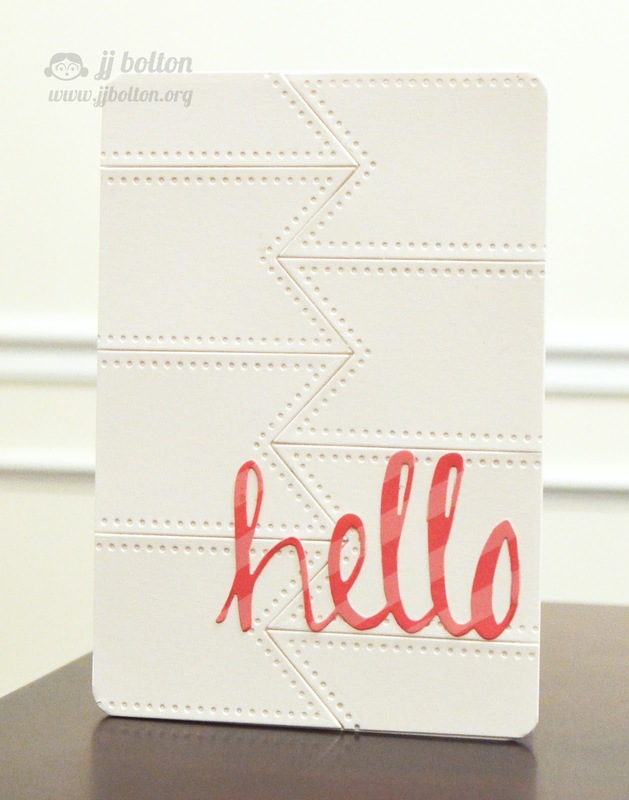 It's Thursday and that means I'm sharing my weekly Avery Elle project:) Today I've got a super CAS card made with the new Dotted dies set! This card is kind of a take on the inlaid die technique. All of the die cuts are the same layer, just pieced together. This card was made with just one of the banner dies in the set. The tail ends just happen to fit perfectly together! 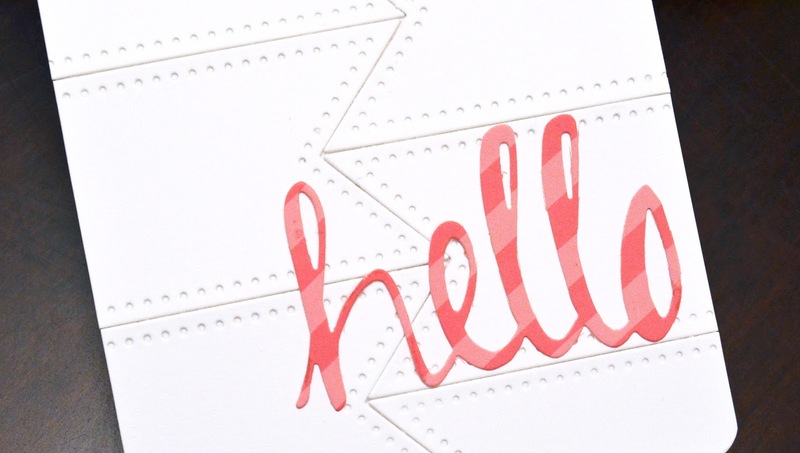 The totally white background is offset by the sentiment that I die cut with the Simply Said: Hello die in the new Avery Elle patterned paper (Brights collection). Have you tried the new paper yet? The patterns are so adorable and the classic patterns go with everything. And I love that the paper is double-sided in two different colors! That's all for me today! Until next time! Thanks so much for stopping in! Love how you pieced the dotted banners together and love the paper you chose for the word cut too. Such a clever idea! I think I will be CASEing it in the future! Ohhh!! I LOVE that fun background. What a cool way to use that die. I want to CASE this sometime in the future too!! So sweet! Love what you did with the banners! This is so cool, I love it. Genius, who thinks like this? Totally cool card, JJ. I love all the white. So in love with this one!!! I really appreciate how you didn't use the die in the expected way. Would never have thought of this!! Okay, now I have to try this! Awesome!! What a simple, but altogether fantastic looking technique! Love this. I have been trying to order this die set for 2 months. All 3 of the online stores I order from have been out of stock of this set for that long. I am so sorry I've gotten behind on your posts...I've missed so much!